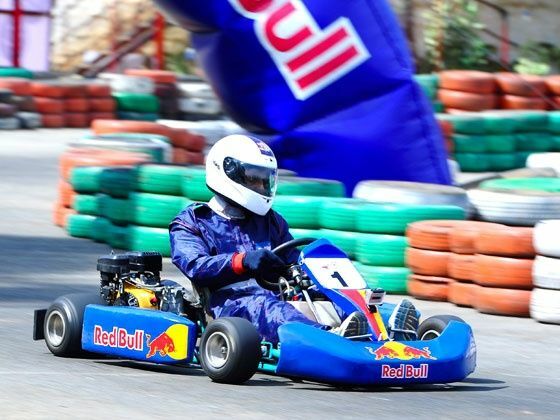 After successful runs across various nations the Red Bull Kart Fight Competition was held in India for the first time. The series which started in November 2011 attracted over 600 karters form across the country. The top 12 racers from each city got a chance to put their skills on display at the National Finals. Nikhil Kashyap, Akhil Rabindra and Arshaan managed to secure the fastest lap times over their competitors and emerge as the Grand Champions of the Red Bull Kart Fight. Nikhil Kashyap (Lap time – 5.44.38) from Bangalore recorded the fastest lap time, followed by Akhil Rabindra (lap time- 5.45.23) from Bangalore and Arshaan (lap time- 5.46.13) from Bangalore grabbed the third position, racing at the Red Bull Kart Fight finals, held at the Torq3 Karting Track, in Bangalore today. Since the onset of the Red Bull Kart Fight, India’s first Formula One driver, Narain Karthikeyen had been mentoring the karters with quick tips and motivating them to perform even better. Besides the podium finishes, the three winners have also won the chance to visit the home of Formula One Red Bull Racing in Milton Keynes, UK.